Ships today if you order in the next 13 hours 38 minutes. 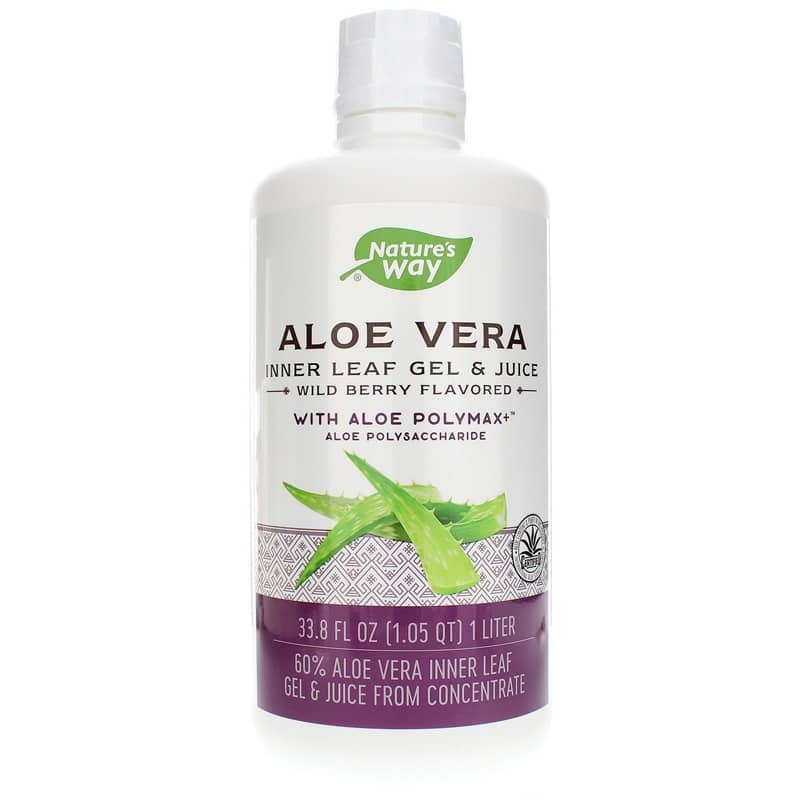 Aloe Vera Wild Berry Flavor Gel & Juice by Natures Way contains organically grown aloe vera that is harvested at the peak of nutrient potency and freshly cold-processed to yield 65% pure Aloe. No aloin, bitter constituents or additional water are present. Aloe Vera is enhanced with Aloe PolyMax (a proprietary aloe polysaccharide extract), making it the most potent source of natural aloe polysaccharides. Natures Way Aloe Vera also contains over 200 other naturally occurring nutrients such as enzymes, amino acids, sterols and more. Natures Way Aloe Vera is guaranteed fresh. They use a unique nitrogen process which eliminates oxidation and preserves potency. Natures Way Aloe Vera is independently certified by both the International Aloe Science Council (verification of aloe content and purity) and the International Aloe Certification Laboratories (verification of polysaccharide content). 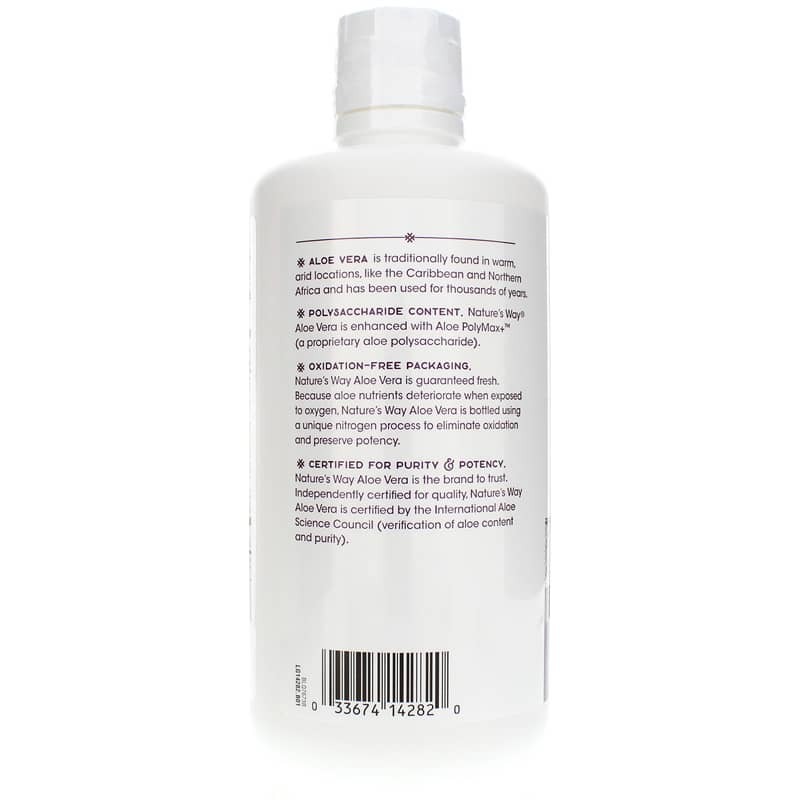 Other Ingredients: purified water, aloe vera inner leaf pulp, fructose, aloe vera leaf juice, natural flavors, preservatives to maintain freshness (citric acid, potassium sorbate, sodium benzoate), organic Aloe PolyMax+ containing polysaccharide. Adults: Drink 1 to 8 ounces per day or mix into your favorite juice or smoothie. Refrigerate after opening. 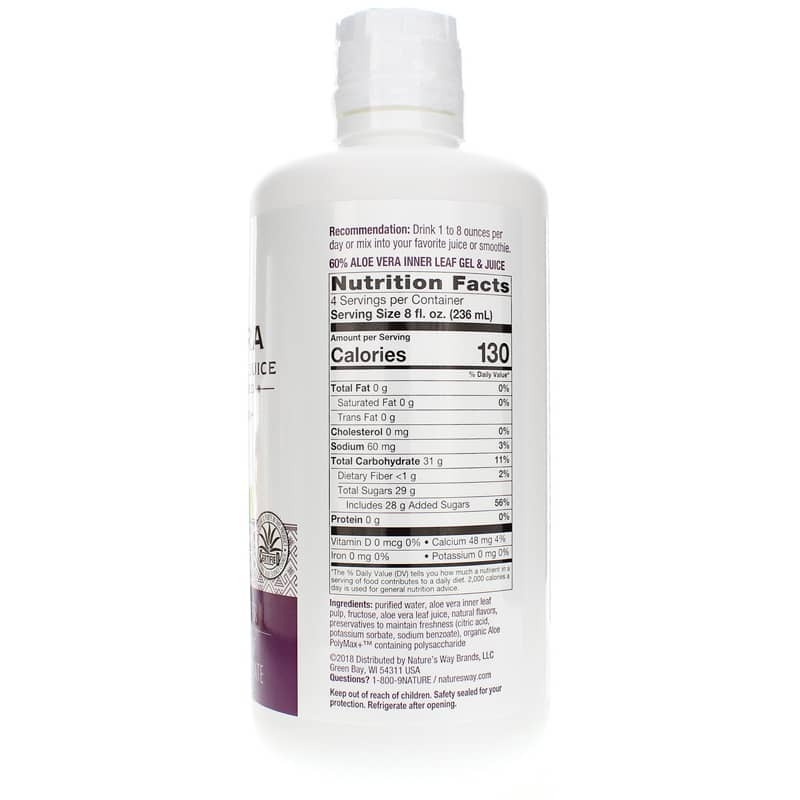 I use Nature's Way wild berry aloe juice as the liquid in my daily green smoothie. It adds a great taste, along with the soothing nutrients that aloe juice provides.